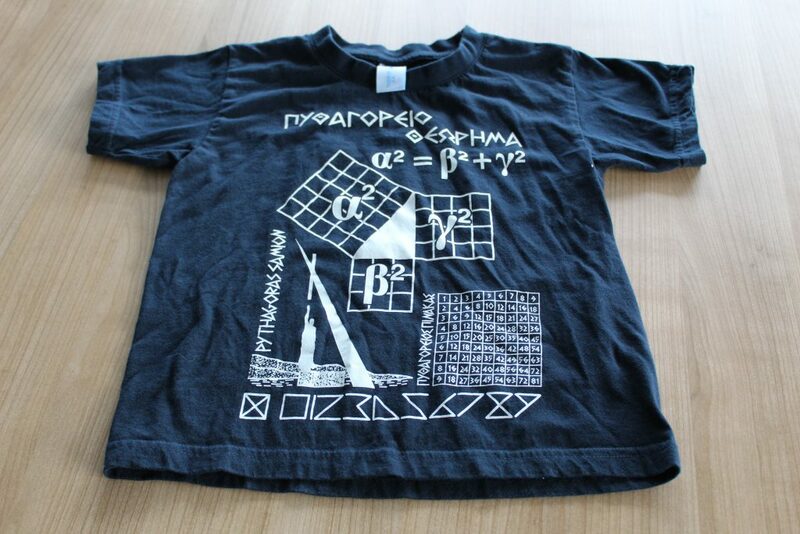 A conversation about mathematics inspired by a t-shirt featuring Pythagoras’ theorem. Presented by Katie Steckles and Peter Rowlett. We’ve been quietly making plans and gathering material for a new project over the past couple of weeks, after noticing that there’s an unusual paucity of maths podcasts at the moment. Well, that exciting new project is now happening, and it’s a half-hour podcast featuring maths, guests, puzzles and links from the internet. It’s called All Squared, and it’ll contain cringe-inducing intro/ending contrivances, interesting guest interviews on topical and other subjects, and a panoply of mathematical curiosities. This is the first number of the podcast (we thought ‘episode’ would set unrealistic expectations of regularity, and we can never resist a pun). It includes an interview with Edmund Harriss about spoken mathematics, as well as a puzzle which we’ll give the answer to in the next number, and a great mathematical flash game to keep you occupied until that appears.